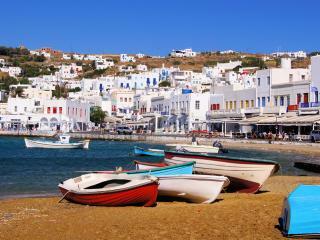 Mykonos town is one of the best examples of Cycladic architecture. A maze of narrow alley ways and streets, whitewashed houses, red and blue roof top chapels and a number of well preserved windmills give this town a unique character impossible to find anywhere else in the world. 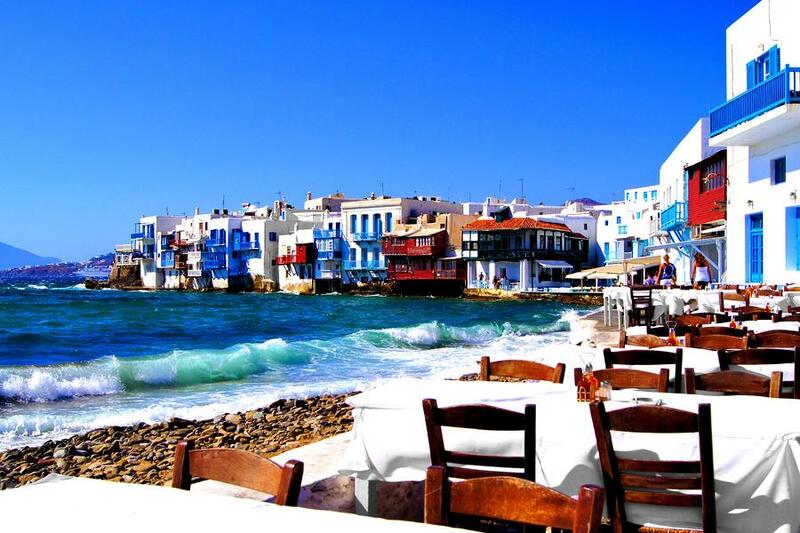 Mykonos is famous for its cosmopolitan feel and nightlife. It embraces all visitors from around the world - the young backpackers, families, the more sophisticated discerning travellers and famous film stars. It welcomes those who wish to indulge themselves in one of the many exclusive bars or internationally known restaurants and also caters for the budget minded traveller with a choice of cheaper tavernas, snack bars and fast food outlets. Its barren landscape against the blue sparkling sea and the numerous sandy beaches have attracted visitors for more than half a century. 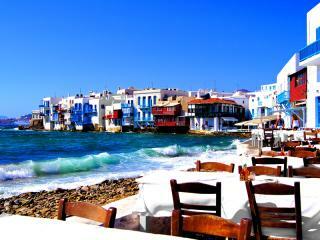 Accommodation facilities in Mykonos are of the highest standard found on any of the Greek islands. 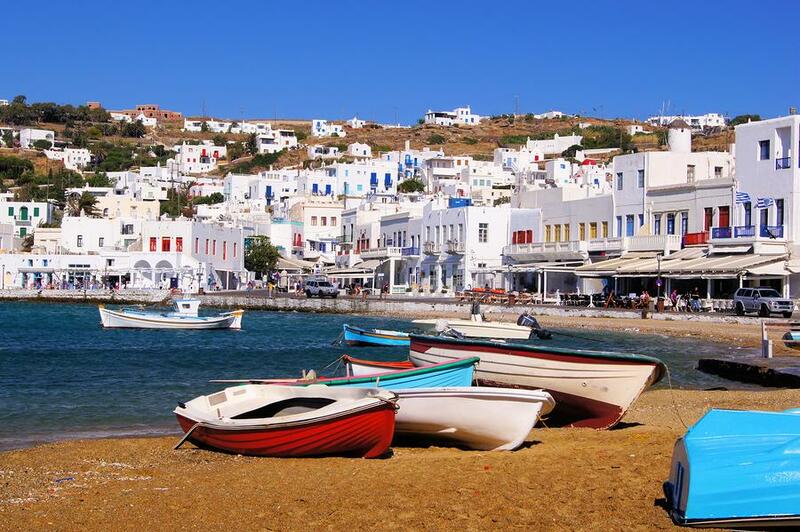 Excellent standard hotels of all categories together with the incredible range of shops, boutiques, restaurants and other tourist facilities have made this island hard to leave out of any Greek holiday itinerary.